Whether its Drop Shipping or Ecommerce, people still don’t have a lot of courage to go in to these businesses believing that it requires experience and a lot of cash to get goin. Well, here at Withintheflow.com, we are always looking to shatter that perception through making people understand how easy it is to get going in the Ecommerce domain. According to us, everyone and anyone can do it, literally! It just takes a right product strategy, willingness to understand the current customer’s psyche, a good mentor and above all, the courage to start. Even if you are a little sceptical about what we are saying here, then you need to meet Mr. Dishawn, a real life example of a complete amateur going into the Drop Shipping industry and making 0-30k in just 3 months! Doesn’t sound believable right? Yes, Mr. Dishawn story in the business is that spectacular! And no, he wasn’t just plain lucky. 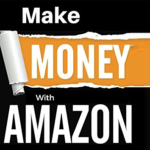 There is reason involved behind this as to how a complete amateur can learn to laugh his way to the bank in a matter of a few months courtesy, the power of the Drop Shipping Industry. I am currently still scaling the product and my goal is to surpass $100k per month after the Chinese New Year is over in February. To let you know as to what the process was, we undertook a short online interview with Mr. Dishawn that included brief questions regarding how he entered the industry, from where he learnt the tricks of the trade, how he conducts research for the best-selling products and more. Q: How and why did you land up in the Ecommerce Industry? From Queens New York Relocated to Miami Florida with Wife and 4 Children. I Worked In The Hospital Verifying Insurance Making $15 An Hour But Still Struggled To Make Ends Meet! I then started out selling used games, clothes and electronics on Amazon. I then came across a series of videos on YouTube from Dan Dasilva and Chris Record and I then became obsessed with Shopify when I saw that people were able to hit $10, $20 or even $100k per a month. From that day I knew that this was where I needed to be and start my own Ecommerce brand/business? I later invested in a mentor by the name Of Gabriel who helped me scale my business from $200 per day to close to $1-3K per day! Q: What is your Product Research Strategy? Is it the same for all products or do you tweak it with each product you intend to trade in? My Product research strategy is simple. I look for products that solve problems for people and Products that will make their lives easier and happier. I also look for products that people would be passionate about like dogs, cats, swimming, fishing, golfing etc. For example the reason why the back corrector the gadget that helps people with back issues or problems with their spine sells so we’ll is because it directly caters to the customers pain points. It solves a problem. It removes pain and provides comfortability to those who are suffering with back problems due to it’s technology. After I find a product that solves a problem I use Google trends to see if it’s trending at least above 50 for 50% of the time. Lastly when I’m searching for golden winning Products I look for Products that have a high perceived value. Meaning the product may only cost me $5 per unit to get sent out and delivered to my customers but I need to be able to sell it for at least 3-5X my cost but it has to be lower than the current cost on Amazon so that I don’t have to compete with Amazon. An example of a high perceived value Product would be a Mother’s Day Ring for Mom with all of her children’s birthstone being on the ring or necklace. My cost for the ring may be $20 per unit. But now I can turn around and sell the ring or birthstone necklace for $59.99-$99 because a ring like that is very intimate and every son and daughter would expect to pay a premium price because of their perception of the ring. Q: Did you cash in on an existing trend (Riding the wave) to reach these sales figures or in your opinion, this isn’t necessary? For the most part I use the same product research strategy for almost every Product that I test. I believe that once you find a proven system that works than you should stick to it. However I do sometimes test Products that are trending or reverse engineer Products that have been proven to sell by my competition. With this particular product I actually went surfing and rode the wave. I actually went searching Facebook to find old winners from the year before. I found a product that meet my product research criteria and that’s how I found my winning product. Q:Do you intend to scale this in the future? If yes, how or if no, why? Q: Your advice to aspiring entrepreneurs looking to enter the ecommerce industry in 2019? My advice to aspiring entrepreneurs in 2019 is to tell them to be unique. Start to think of their business as a brand. Build great content on all of your social media channels. Exceed your customer’s expectations. I believe customer service and good customer feedback will be key for Ecommerce businesses in 2019 in order for your business to survive. Find a product that solves a problem that is cost effective that you can brand, outpace your competition and ship directly from the United States. While this story of Mr Dishawn Smith sounds spectacular and may be a one-off scenario, its not actually so. The Ecommerce industry is filled with even bigger and better stories of how people who went from almost $0 to overnight millionaires by following the easiest of rules and insights. All it takes is some courage and the right guidance. And while you will have to find the courage to do so within you, we at WithinTheFlow.com are there always to offer you the right guidance. If you don’t know where to start even, you can initiate things by downloading our Free Ebook on 725 Most Profitable Ecommerce Niches now! What E-book you are willing to download? Just click on the “get this in messenger” button and you can download the ebook . Hi Adil, It’s the 725 Most Profitable Ecommerce Niches Ebook, I’m sorry but I’m not sure where the “get this in messenger” button is located exactly.